Monsanto invented the herbicide glyphosate and brought it to market under the trade name Roundup in 1974, after DDT was banned. But it wasn’t until the late 1990s that the use of Roundup surged, thanks to Monsanto’s ingenious marketing strategy. The strategy? Genetically engineer seeds to grow food crops that could tolerate high doses of Roundup. With the introduction of these new GE seeds, farmers could now easily control weeds on their corn, soy, cotton, canola, sugar beets and alfalfa crops—crops that thrived while the weeds around them were wiped out by Roundup. Lou Gehrig’s Disease (ALS): Sulfate deficiency in the brain has been associated with Amyotrophic Lateral Sclerosis (ALS). Glyphosate disrupts sulfate transport from the gut to the liver, and may lead over time to severe sulfate deficiency throughout all the tissues, including the brain. 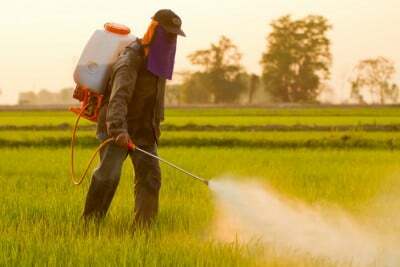 Multiple Sclerosis (MS): An increased incidence of inflammatory bowel disease (IBS) has been found in association with MS. Glyphosate may be a causal factor. The hypothesis is that glyphosate-induced IBS causes gut bacteria to leak into the vasculature, triggering an immune reaction and consequently an autoimmune disorder resulting in destruction of the myelin sheath.